Tony Stewart confronts fan at the 2016 Chili Bowl Nationals, as you can see from the videos below. After getting flipped off and called a murder, several times, Stewart stepped right into the grandstands. The Tulsa Expo Raceway crowd chanting “Tony”. 2016 Chili Bowl Night 3 full results. Chistopher Bell took home the victory in the A midget feature. TULSA, Okla. (January 13, 2016) It was almost Déjà vu as Rico Abreu came up Aces in Wednesday’s River Spirit Qualifying Night, topping action for the second time in as many years in his quest for the Golden Driller in the 30th running of the Lucas Oil Chili Bowl Nationals presented by General Tire. With a record setting 335 entries for the 30th annual Lucas Oil Chili Bowl Nationals presented by General Tire, four nights of driver lineups proves there is no such thing as an easy night at the Chili Bowl as the tentative qualifying night lineups have been released. 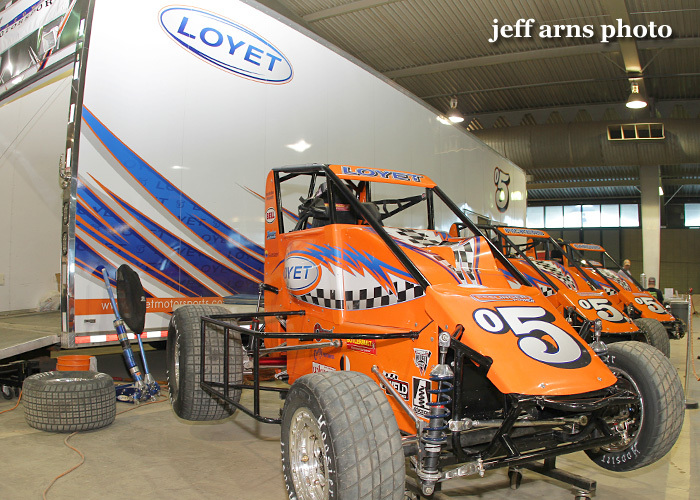 SUNSET HILLS, MO (December 12th, 2011) – Loyet Motorsports will field a six-car team in the 2012 Chili Bowl Nationals in Tulsa, Okla. This is the largest fleet Loyet Motorsports has entered in the Chili Bowl Nationals that will kick off on January 10th and conclude on January 14th.